But this year, I decided this lazy mentality had to stop. 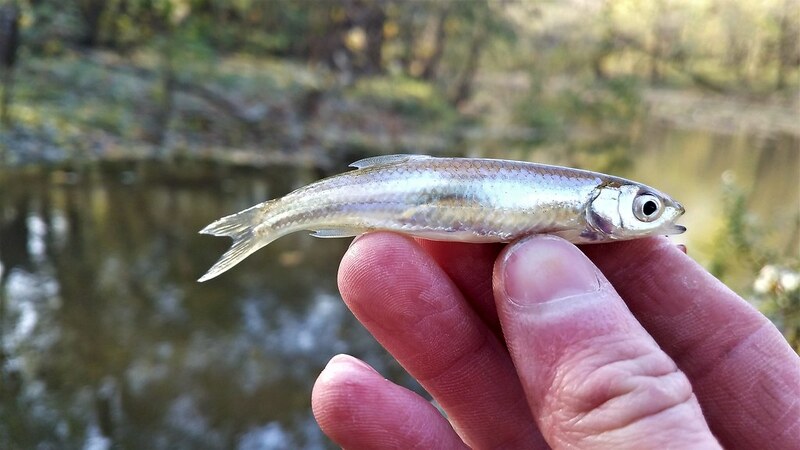 This year, I was going to learn how to catch fish during the winter. 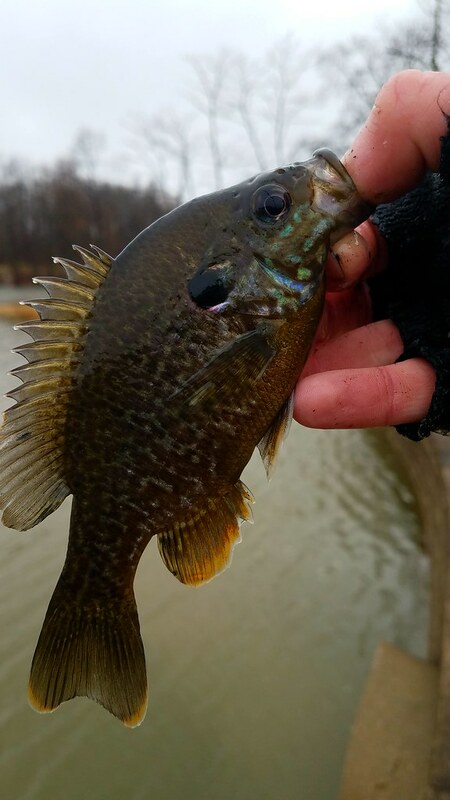 I figured when most people start learning how to fish they start out targeting Bluegill, so why shouldn’t I start there as well? 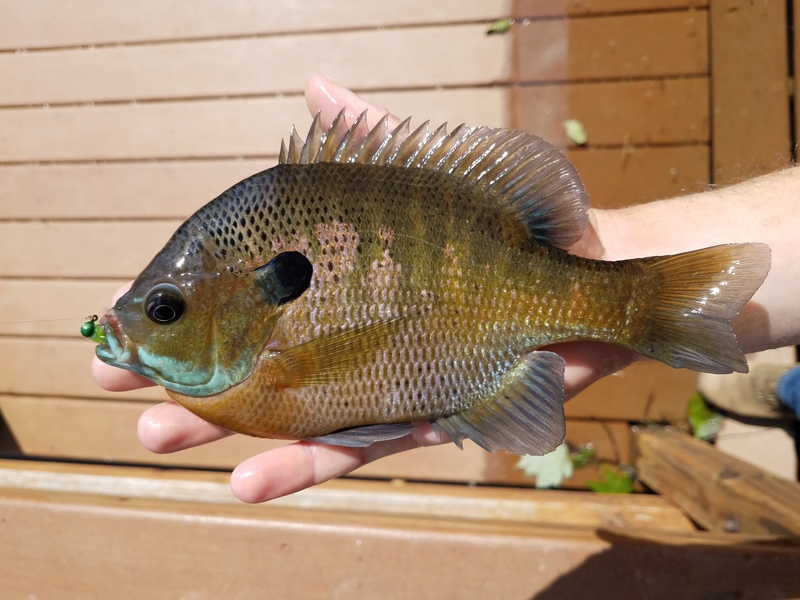 Bluegill seemed like the obvious choice since they are a fairly predictable fish: they will try to eat almost anything and they are (thankfully) still fairly aggressive when the water temperature drops. 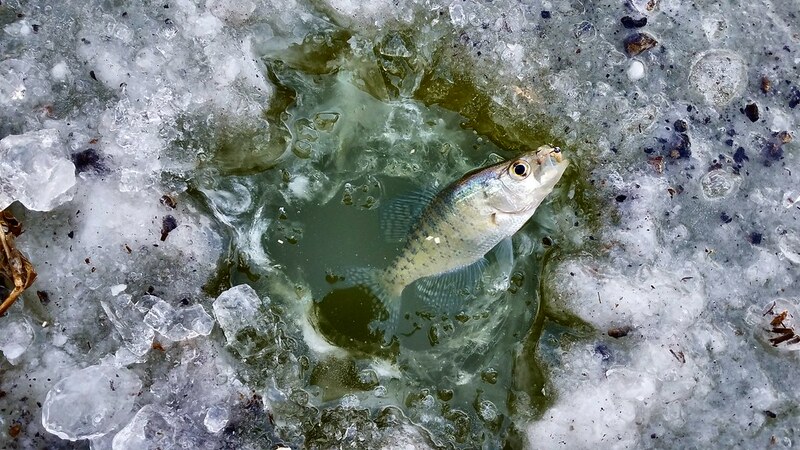 I started by fishing all of the lakes that hadn’t iced over yet. 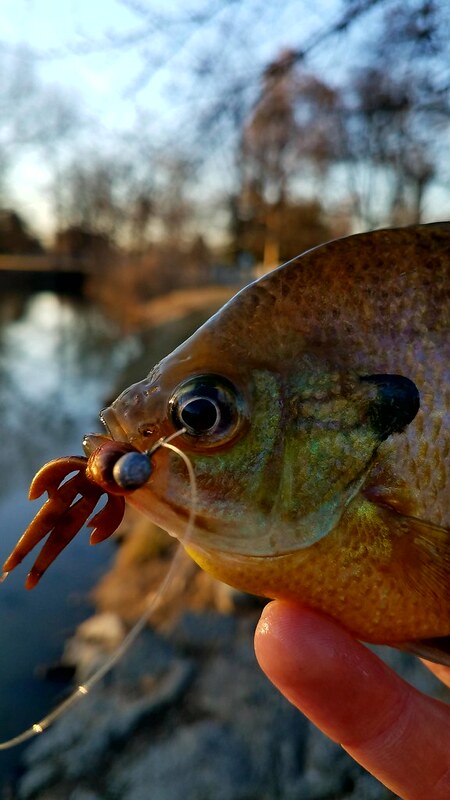 The first lesson I learned was that it wasn’t really necessary to go to the outrageously small size jigs that I had thought I would need. 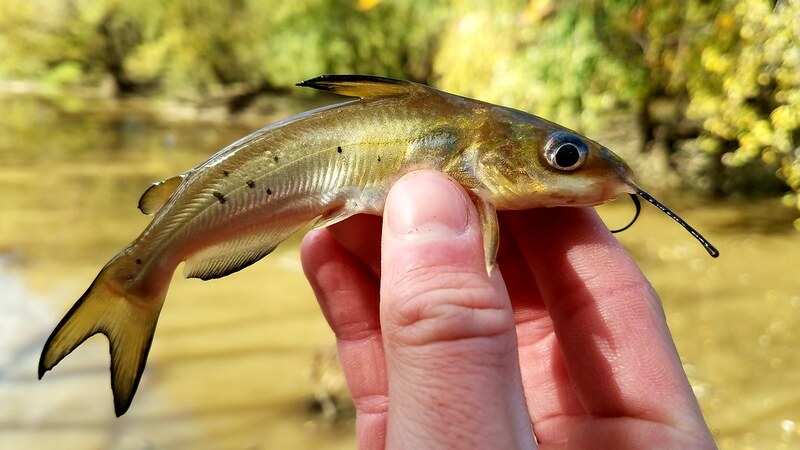 It turns out that that isn’t entirely what dictates if you will catch fish. 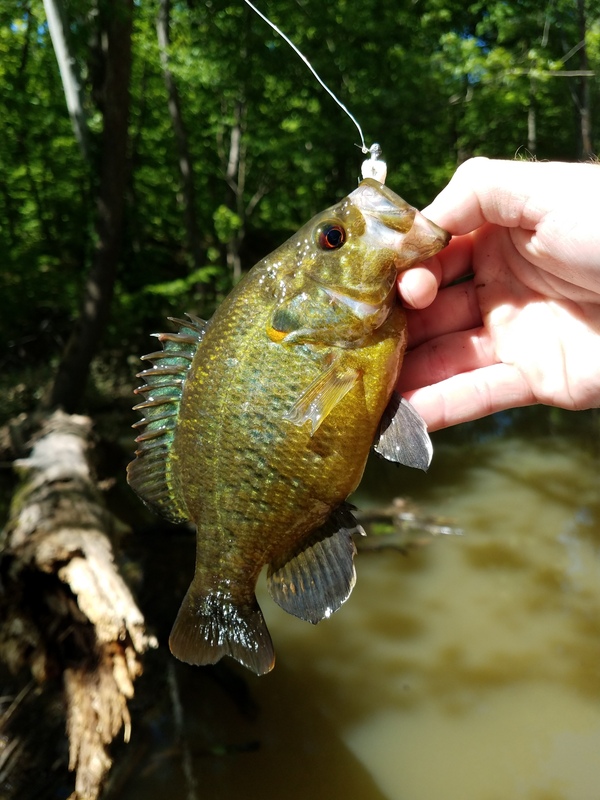 I started my Bluegill quest fishing with 1/200 oz jigs and I caught a lot of fish on this set up. 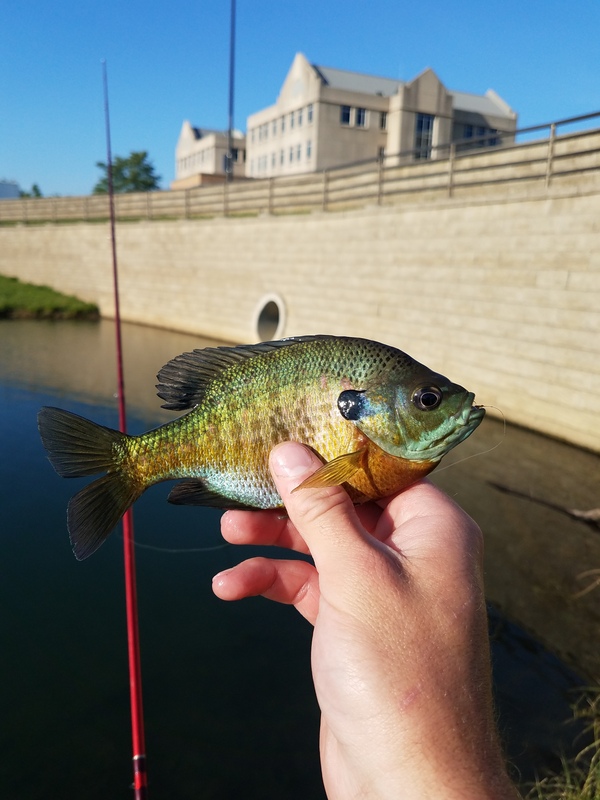 The problem with fishing jigs this small is that I had to set up a special ultralight rod just to be able to cast these. This ended up being an 8 foot 5 weight fly rod with a small spinning reel spooled up with 2 lb test line. 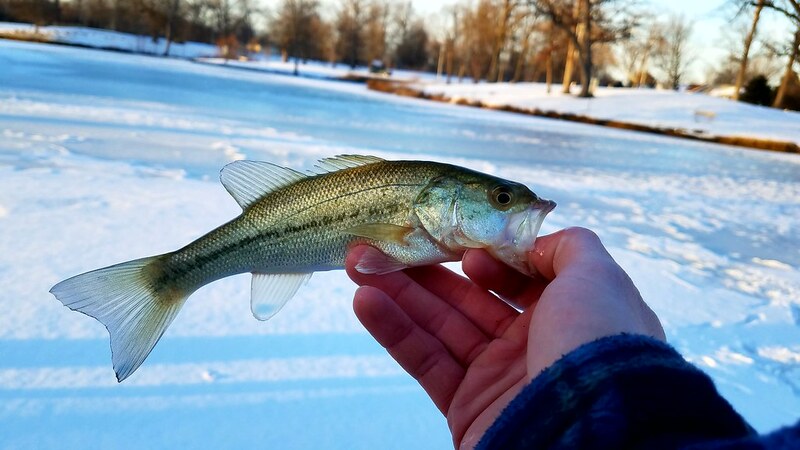 I love fishing with 2 lb test line (which is about the only line I’ve found that can cast these tiny jigs), but when ice starts forming on line that small, it becomes a nightmare to cast. 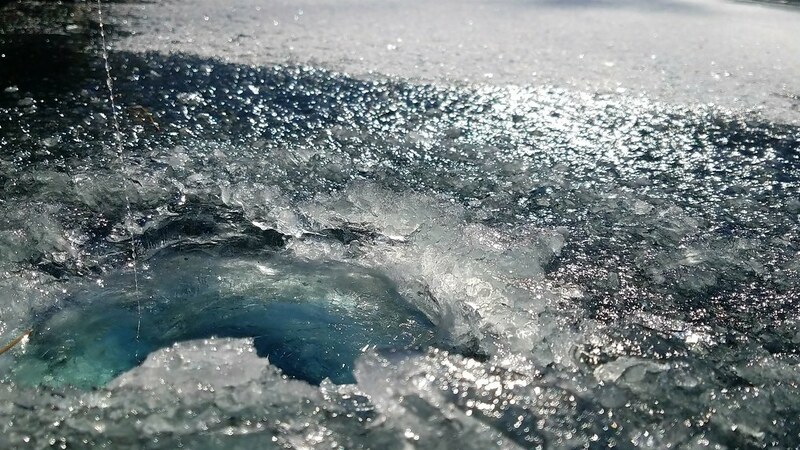 The smart solution to this problem would be to step up the weight of the jigs so you can cast it on heavier line that can handle the build-up of ice. 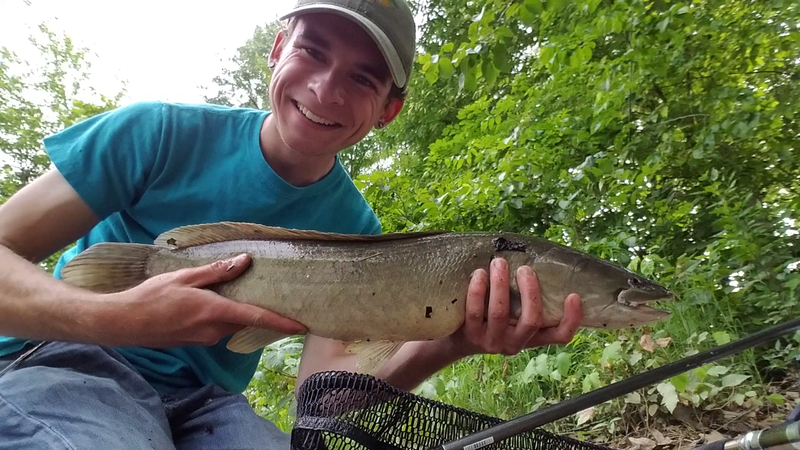 The solution I found was to use an ultralight rod with larger guides and spool it up with 4 lb test line. 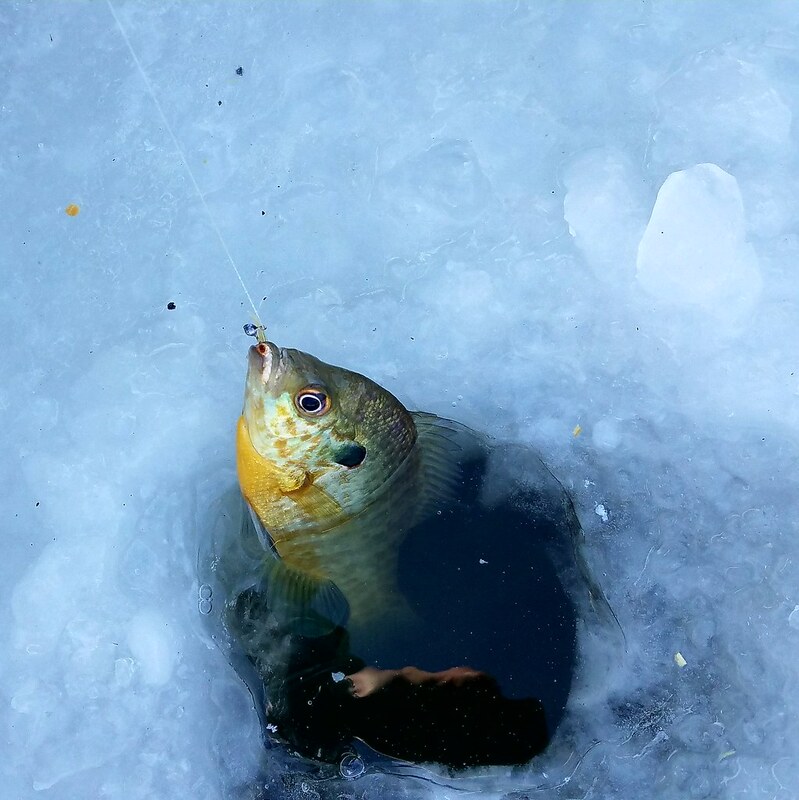 The larger eyes make it easier to cast line with ice on it and makes it harder to totally freeze over the front guide. 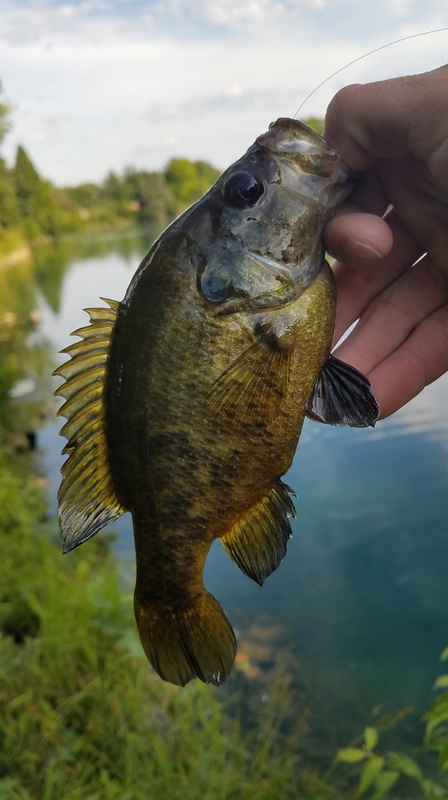 I’ve found that 1/64 oz jigs have worked the best for me so far: they fall slow enough to entice bites from some of the smarter fish, but still weigh enough to be able to cast it a decent distance. 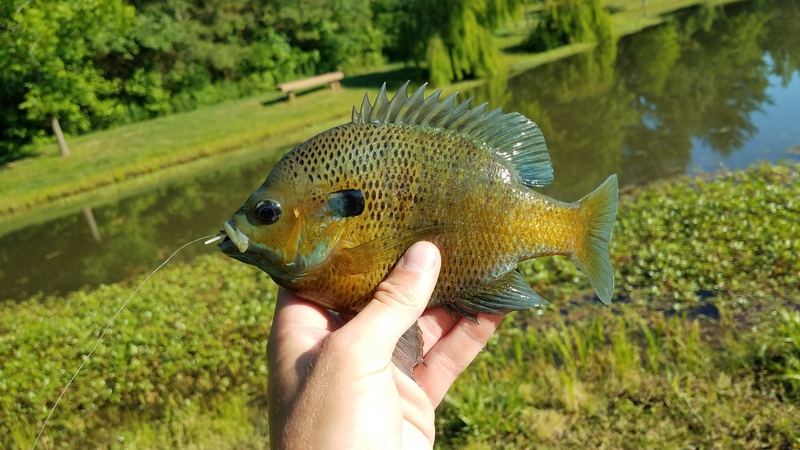 The problem with jigs this size is that smaller Bluegill can have trouble hitting the right spot to get hooked, especially if they are a little lethargic and not sure they want to hit at all. 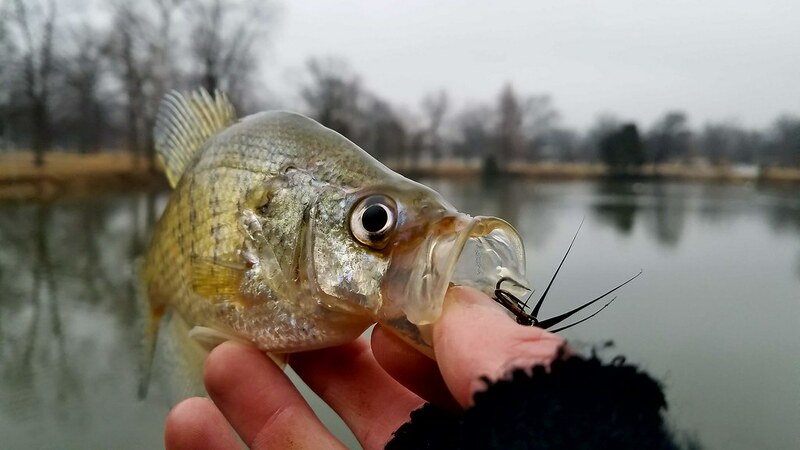 Luckily, this problem can be solved by tipping a jig with some crappie nibbles, or better yet bee moths (if you can find any tackle shops that carries them in middle of January). 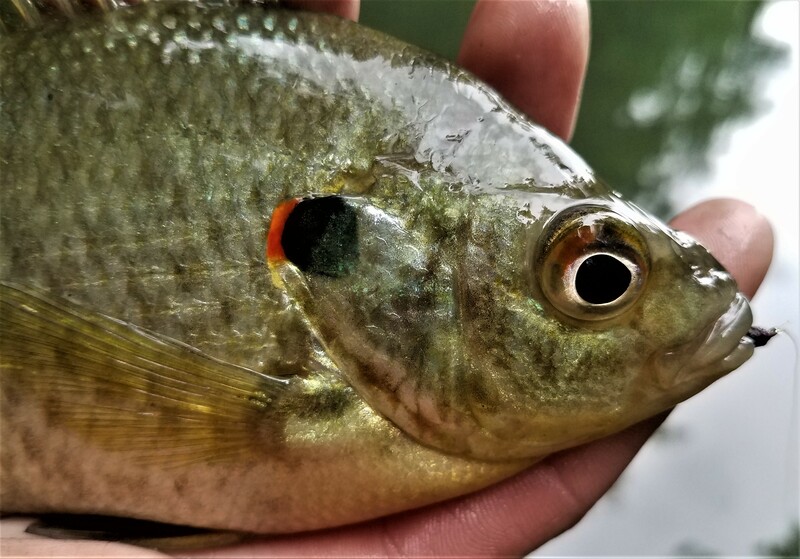 Bluegill haven’t been to hard to find; the easiest feature to target them has been to find a source of water flowing into a lake and fish the deeper water around it. 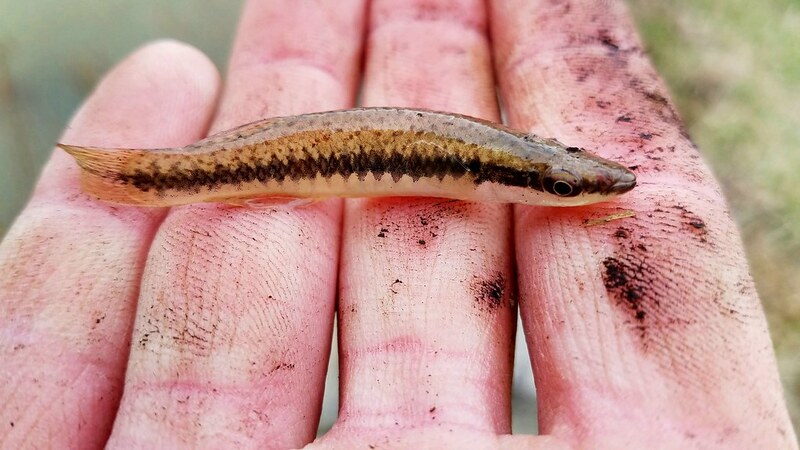 This can mean there is slightly warmer water for the fish to live in or that the fish are used to this flow of water bringing them food. 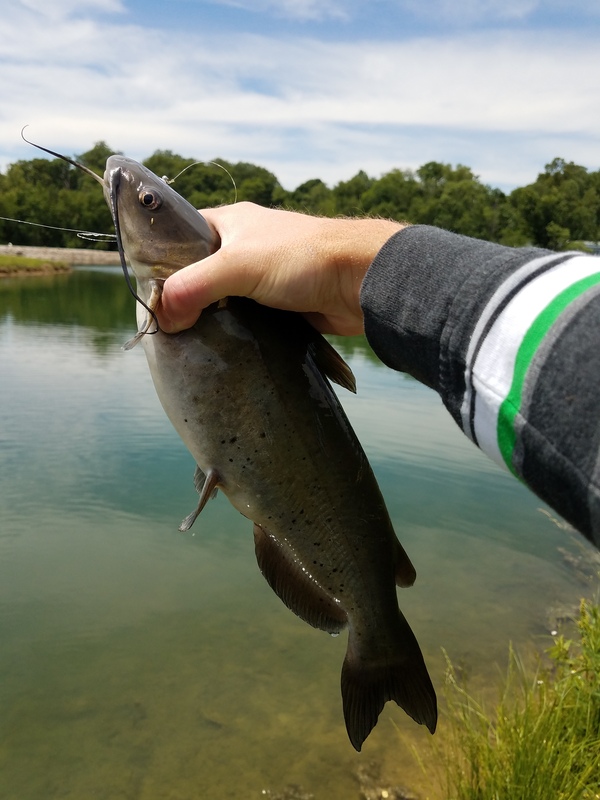 The second feature I’ve had luck with is to fish the first major drop-off from the bank. 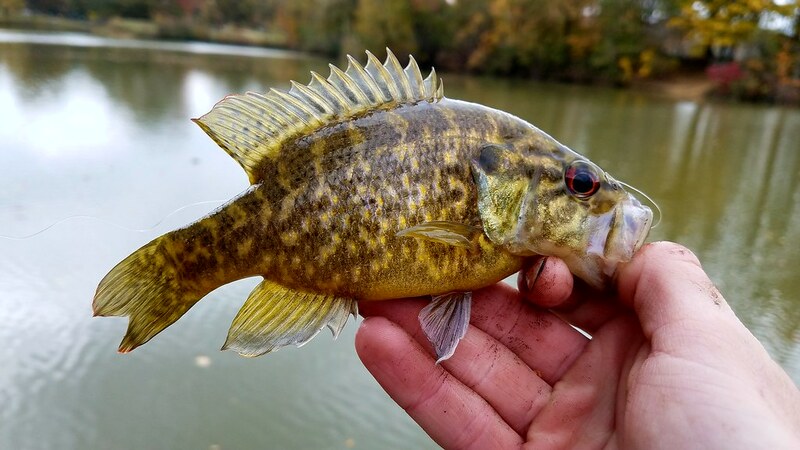 Most of the lakes I fish have shallow edges that are only about a foot deep, but about 10 feet from the bank they quickly drop off to a depth of about 6 feet. 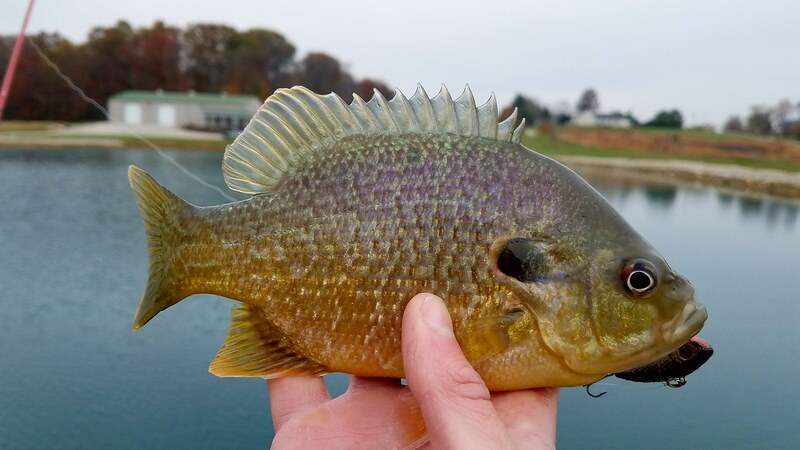 A lot of Bluegill will follow this drop-off in search of food, even though the water temperature isn’t as warm as some of the deeper spots in the lake. 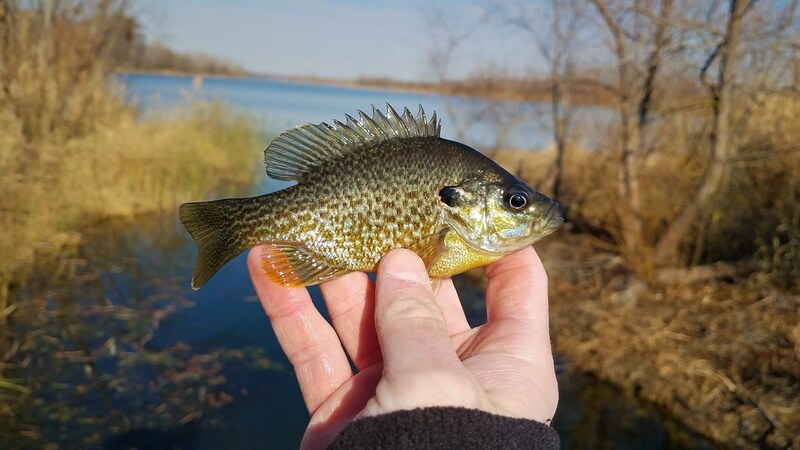 Once I felt like I was starting to gain some headway on catching Bluegill, I decided to shift my emphasis over to catching winter crappie. 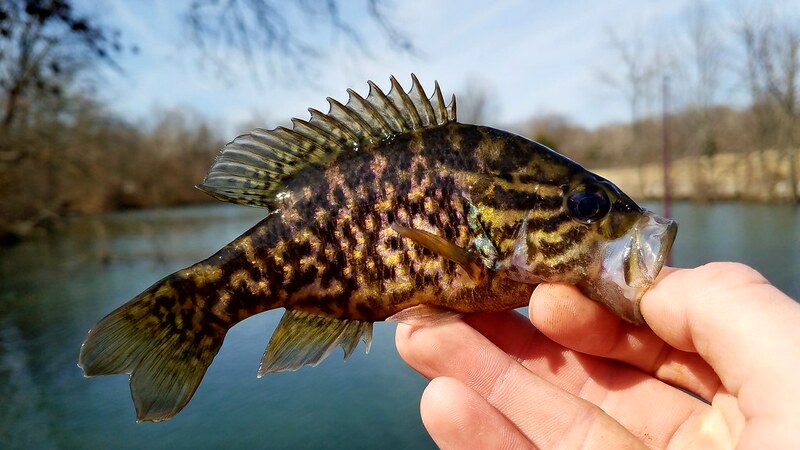 My favorite time of the year has always been spring, and this is largely due to the fact that crappie spawn in the spring and they become easily accessible from the bank. 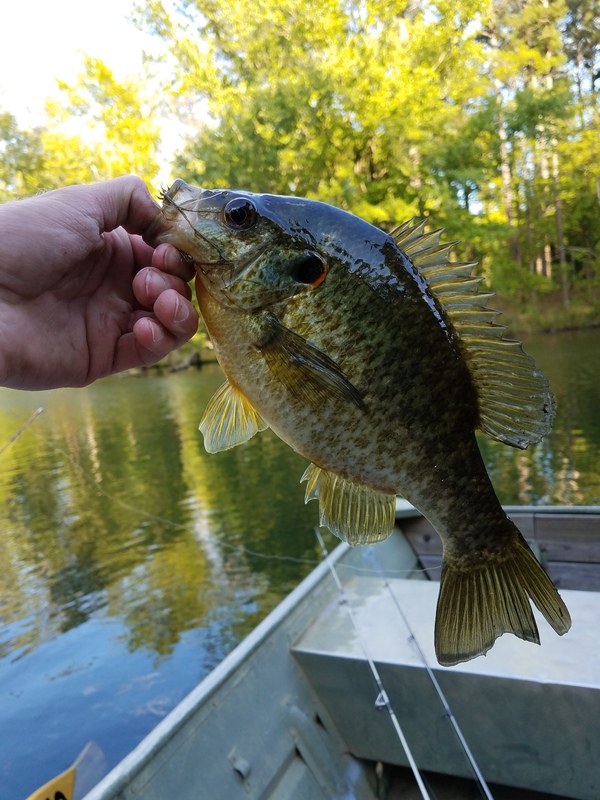 I knew in bigger lakes that I would need a boat to have much luck finding them this time of year, so I decided to focus my attention on large ponds that I knew had a few crappie. 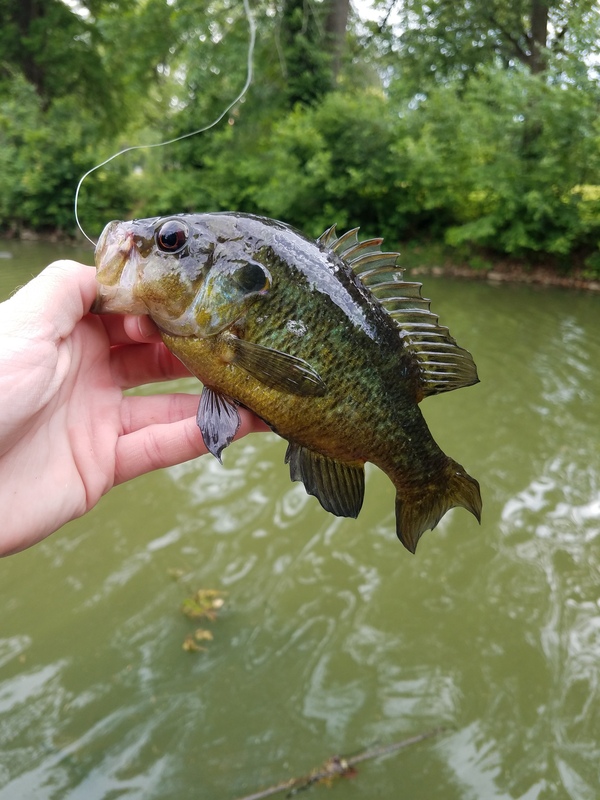 The problem with this particular lake was that I have only caught 10 crappie in the last 4 years from it, and the largest one I caught was only about 9 inches. 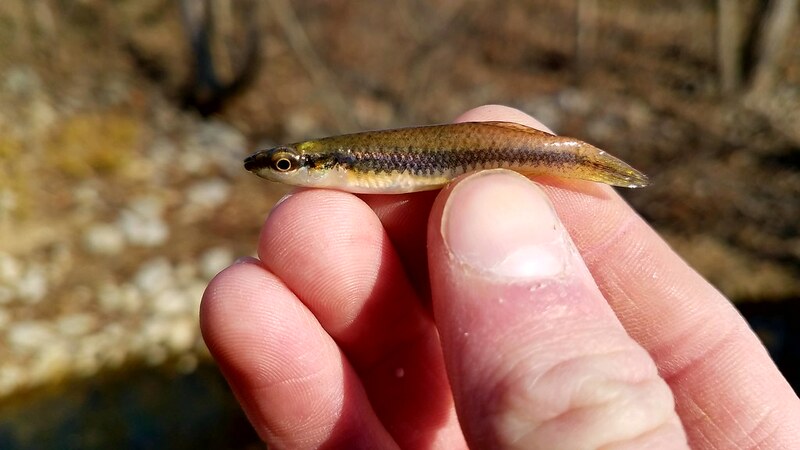 I have always just assumed that there wasn’t a very large population of fish, and that the few fish that did survive were usually harvested by the other anglers in the spring. 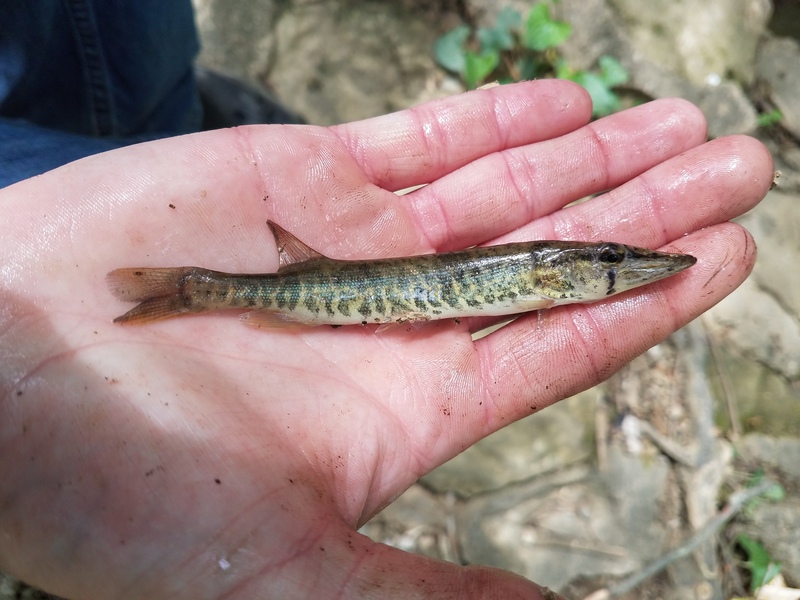 But the one advantage you get with heavily pressured lakes is that the fish that are left tend to be smart, and as a byproduct of that, they tend to be much larger than the fish that are harvested. 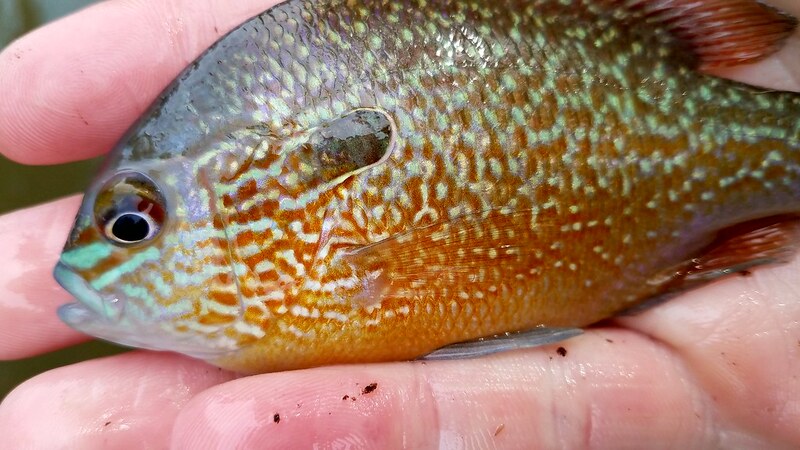 I knew that the bass population in this lake was that way, so I was crossing my fingers that the crappie would be, too. And by some miracle, I was actually right. 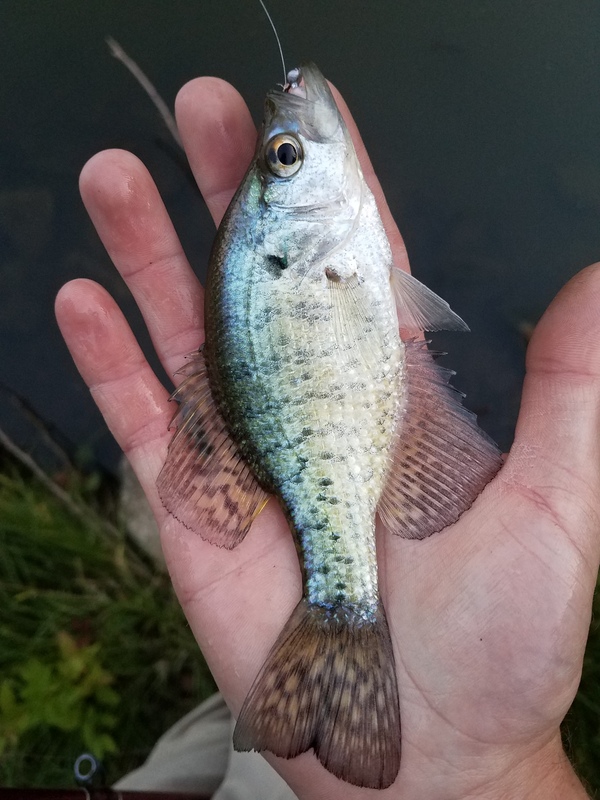 I try my best not to over-complicate crappie fishing. 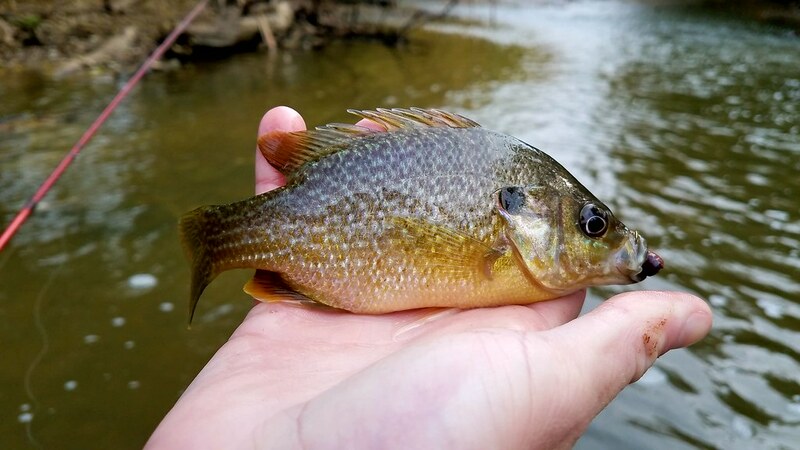 My usual tactic is simply finding a ledge and hopping a jig tipped with a bee moth across it. 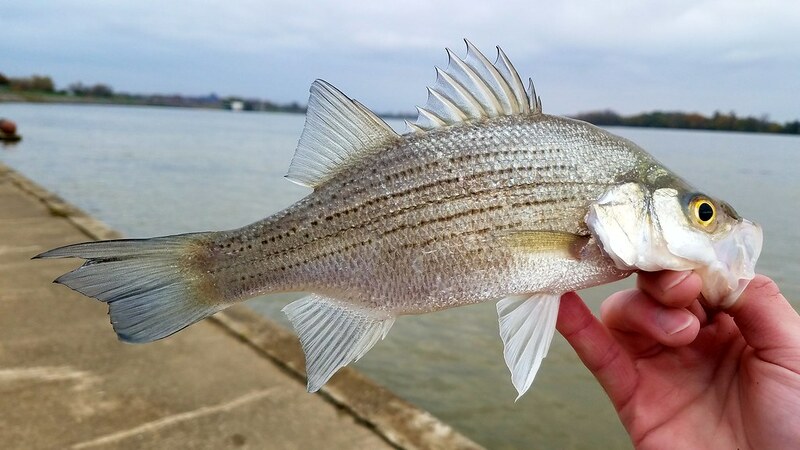 If I don’t find fish on the ledge, then I usually tie on a searching bait, like a curl tail grub, and work a lot of different depths and locations until I can find where they are schooled up at. So far this winter I have found them consistently sitting on ledges. 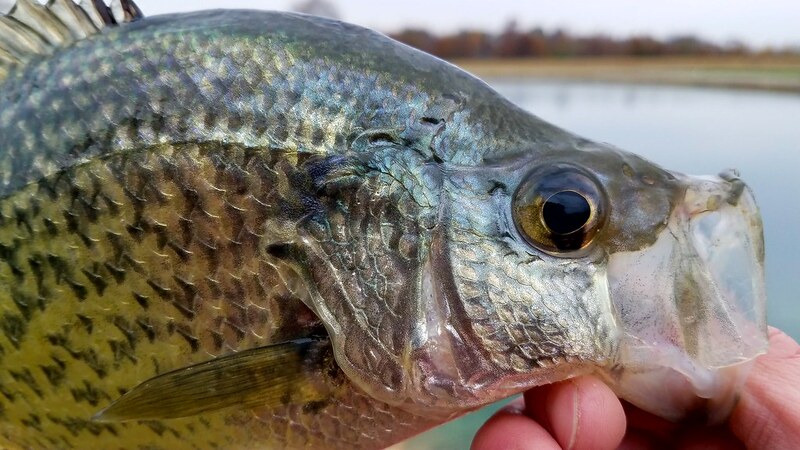 If you can find any underwater structure, that has been an added bonus (but not at all necessary to hold crappie). 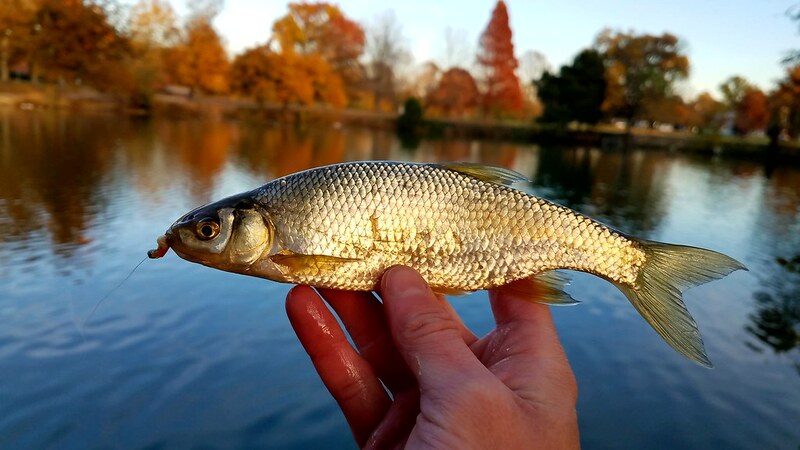 I’m a firm believer that a slow rate of fall triggers more fish to hit than a fast rate of fall, so I tend to fish with a 1/64 oz jig and occasionally 1/32 oz when it is particularly windy. 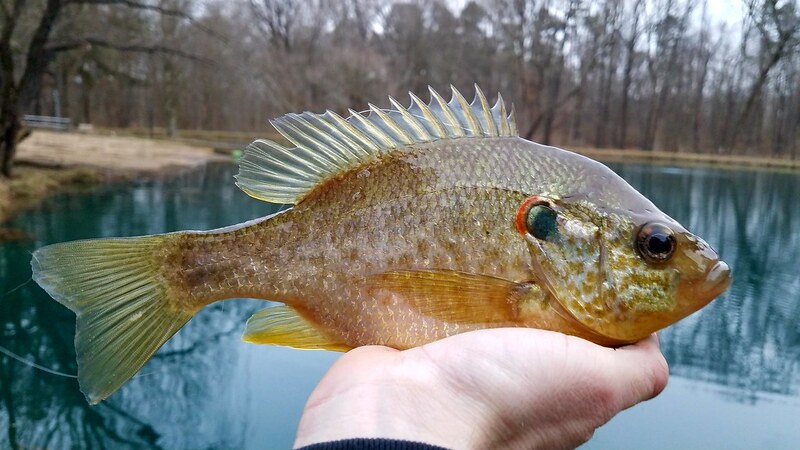 I didn’t expect the crappie fishing to be better in the winter, but so far this pond has fished better in the cold than it ever has before! 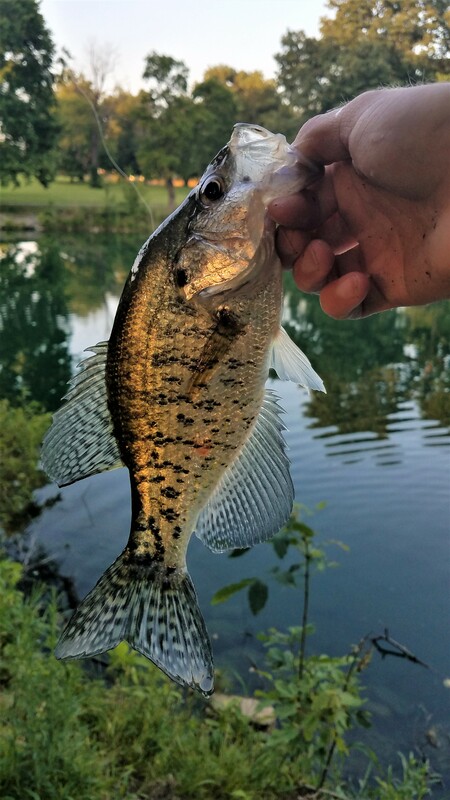 I’ve caught more than 3 times the crappie these last 2 months than I had caught in all of the last 4 years at this pond. 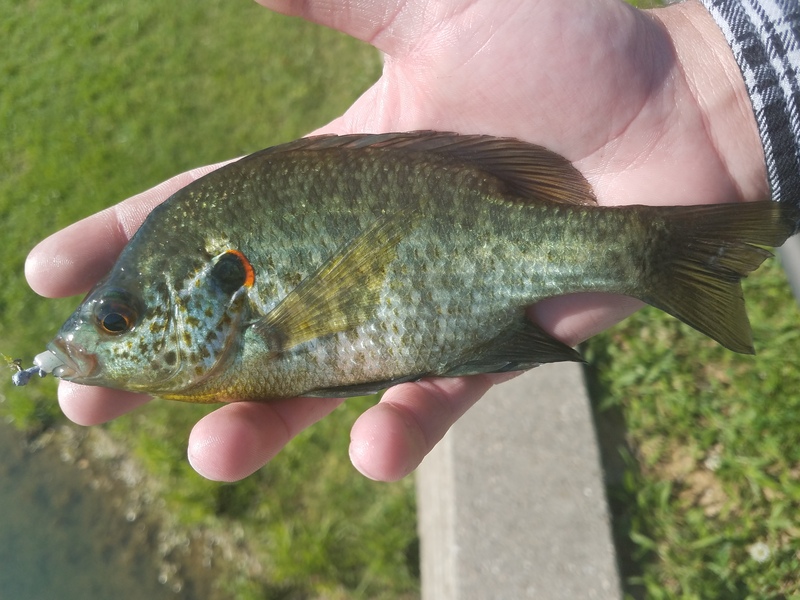 I also managed to catch the biggest crappie I have ever seen in this pond (as shown in the picture above). 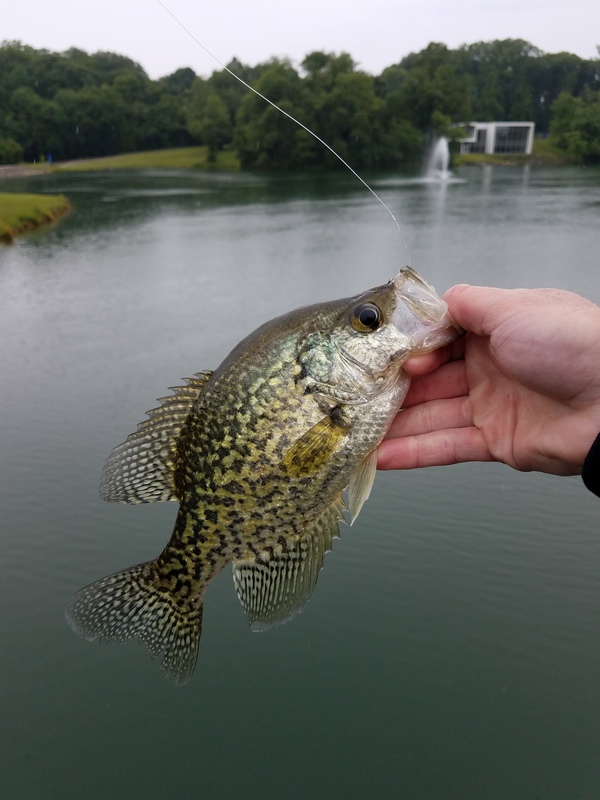 I have always loved the challenge of catching “smart” fish, so I decided to keep the tradition of this lake alive and practice catch and release on all of the crappie I have caught. 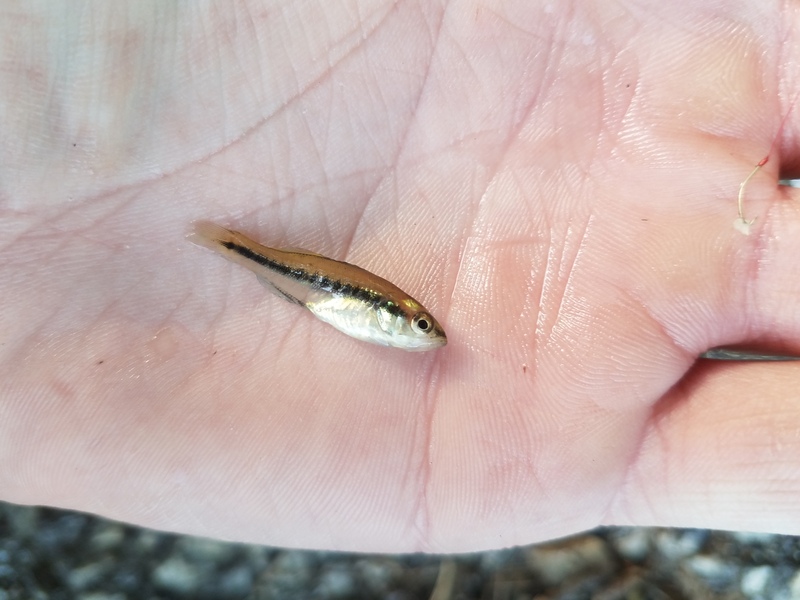 Now the question is, can I fool these fish twice? It has been all sorts of busy since I’ve last update you all last. 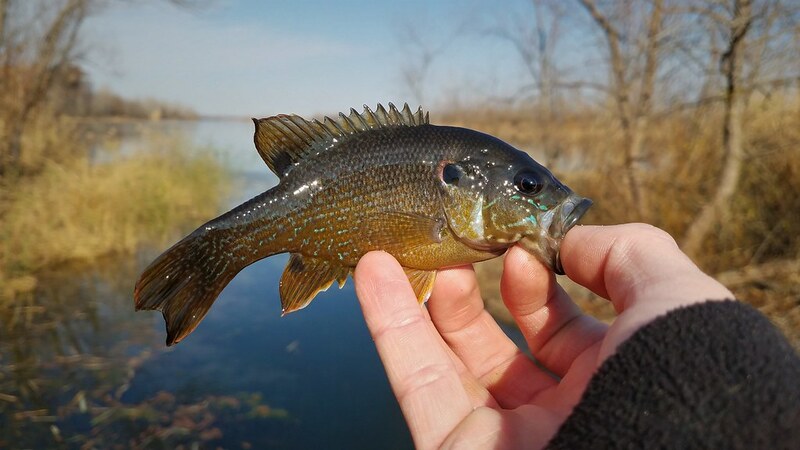 Spring has sprung and the fish are shallow and hungry. I can easily say this has been the most productive start to spring I have ever had. 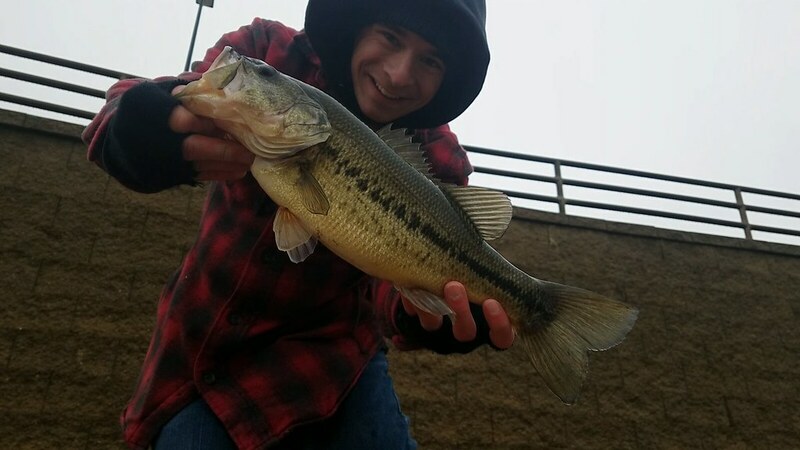 Since the last update, I caught this monster of 5 lb 9oz largemouth bass. 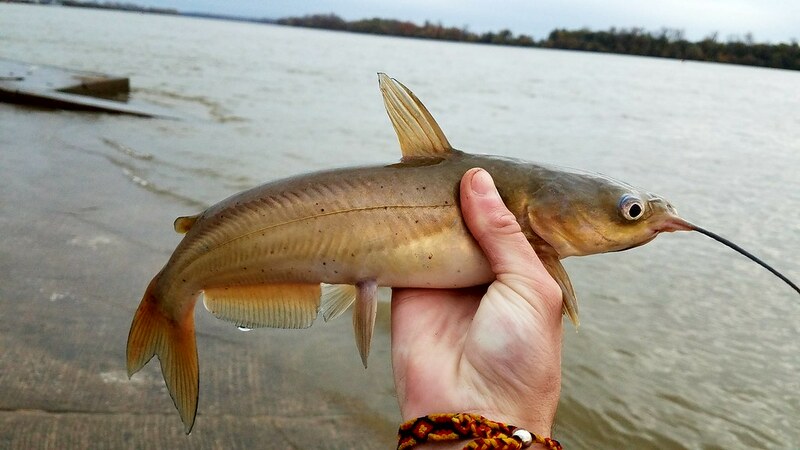 This may not be huge in most parts of the country, but for southern Indiana that is a respectable fish. 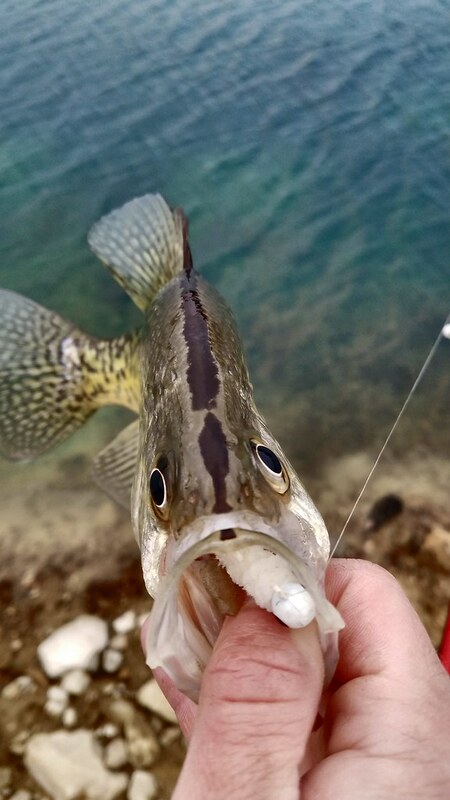 Oddly enough I caught him while crappie jigging, he bit on a gulp alive white minnow. 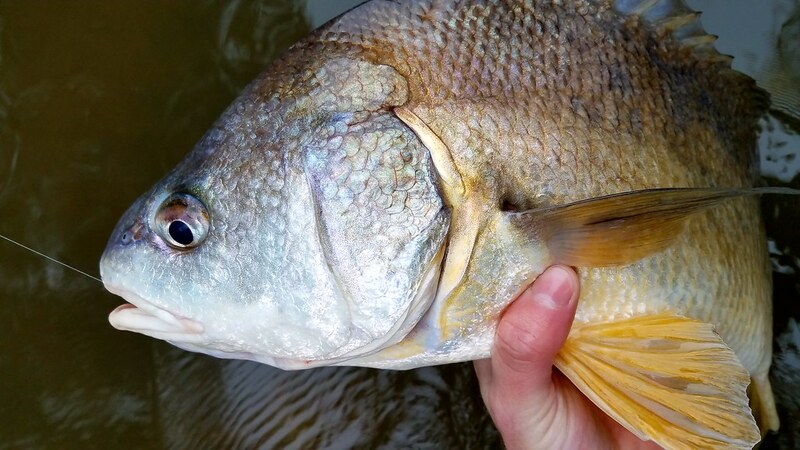 Another exciting thing that has happened is that the fish have started to bite topwater lures. 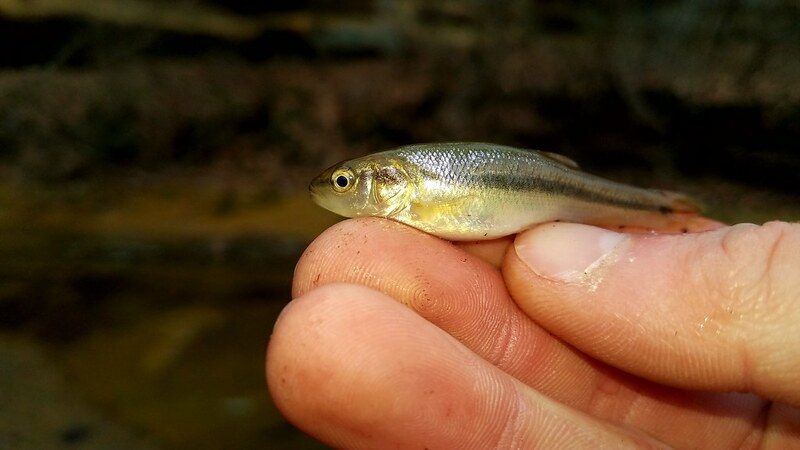 I’ve perfected some small foam poppers and the little bass have just been tearing them up. 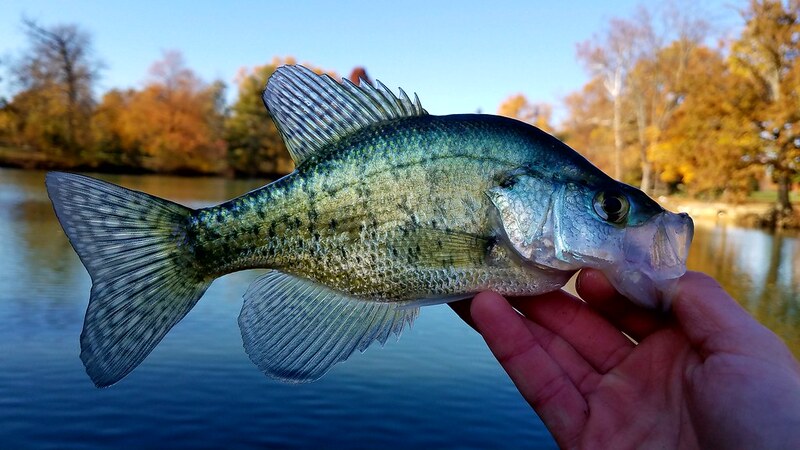 The crappie have also started staging on shelves transitioning from deep to shallow water. 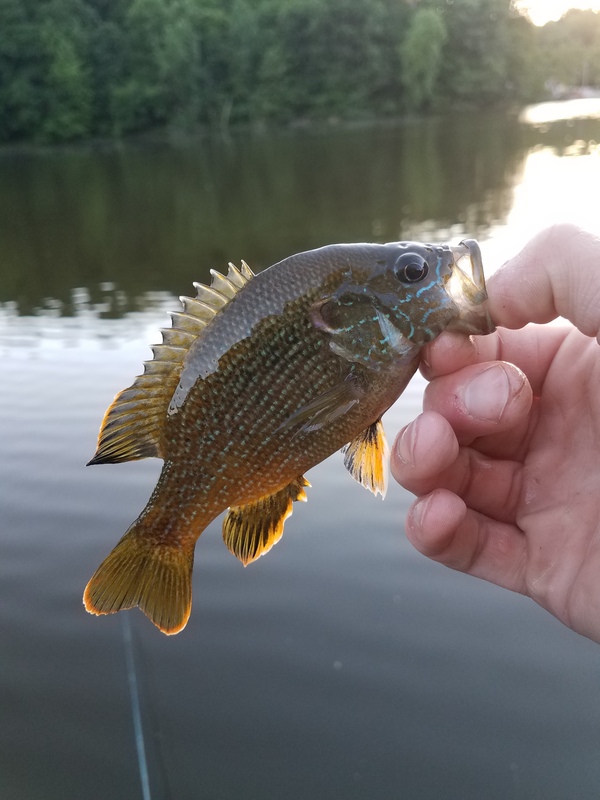 My search for them has resulted in some nice crappie and I even managed to pull a few largemouth and striped bass out of the mix (I actually couldn’t decided if they were striped bass or white bass, any ideas?). 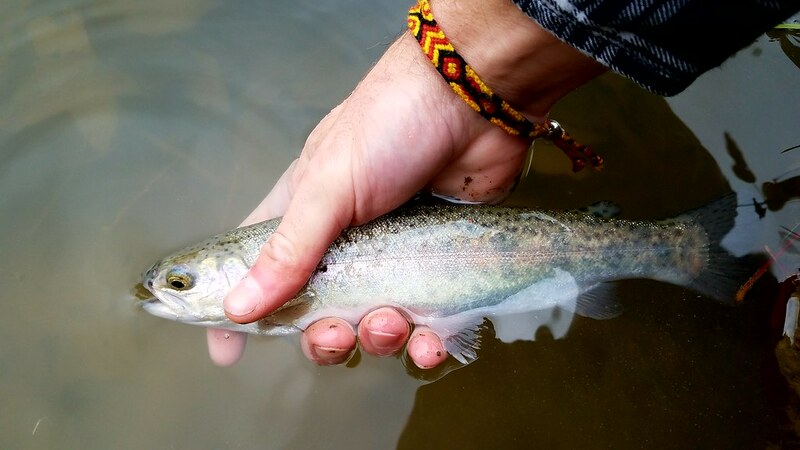 I’ve also been playing around with my ultra light rod a lot more lately, mostly I’ve been using small jigs and inline spinners with it. 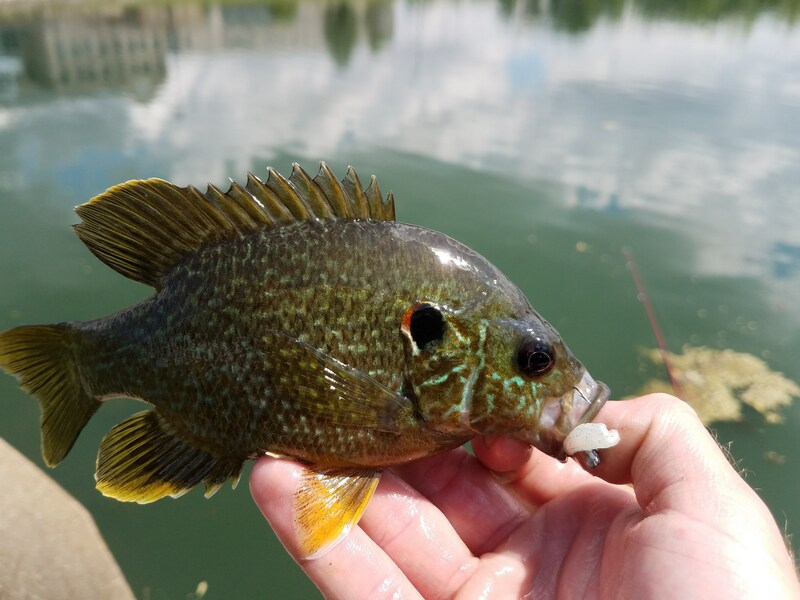 I will freely admit that I am a huge sucker for inline spinners, during early spring and summer they can catch a ridiculous number of fish. 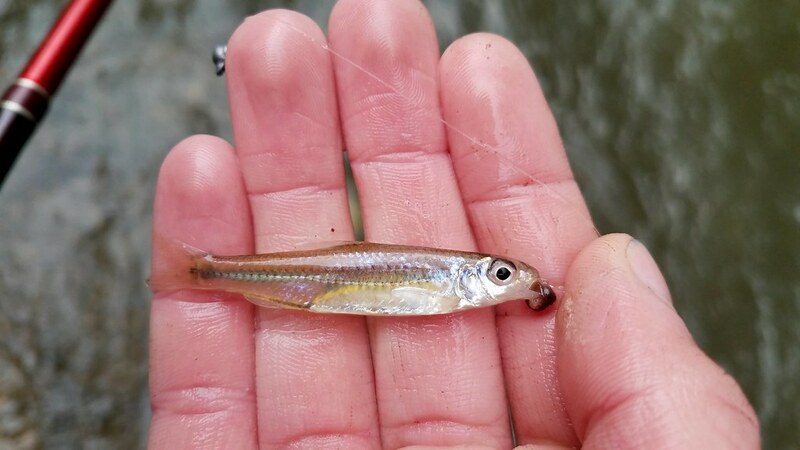 Granted these fish tend to be smaller, but I can usually justify it by the short wait between catches. 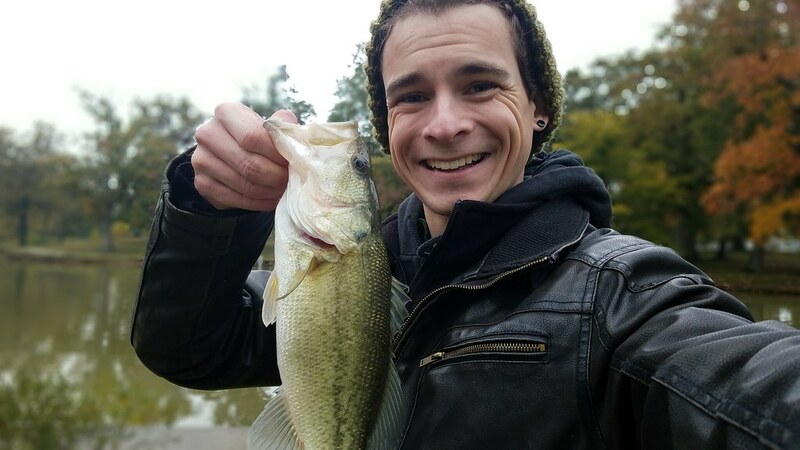 A week ago I fished a spinner in a small public pond and managed to catch 34 bass in an hour. They were all caught with in 5 feet of the bank directly off rip rap. My final location I have been focusing on has been Bluegrass FWA. 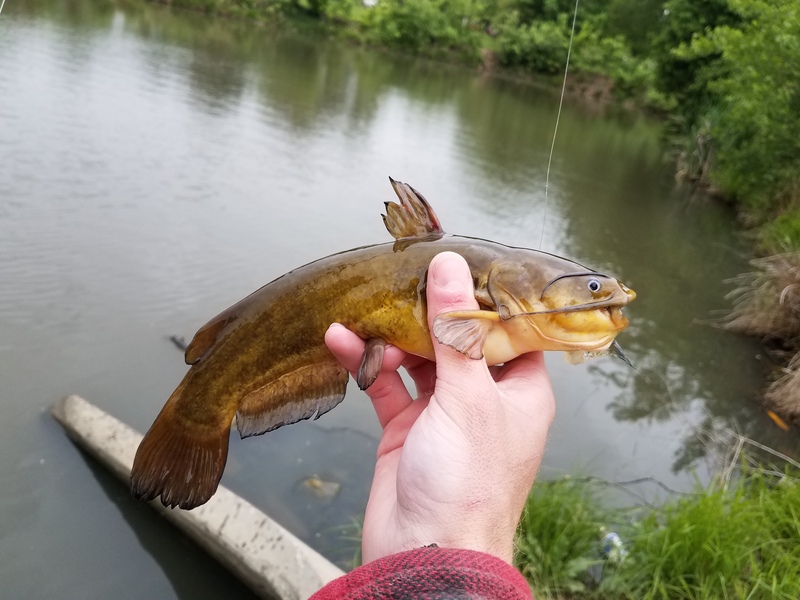 For some reason this location has a reputation for being one of the hardest places to fish in the area. I find this statement to be absurd. 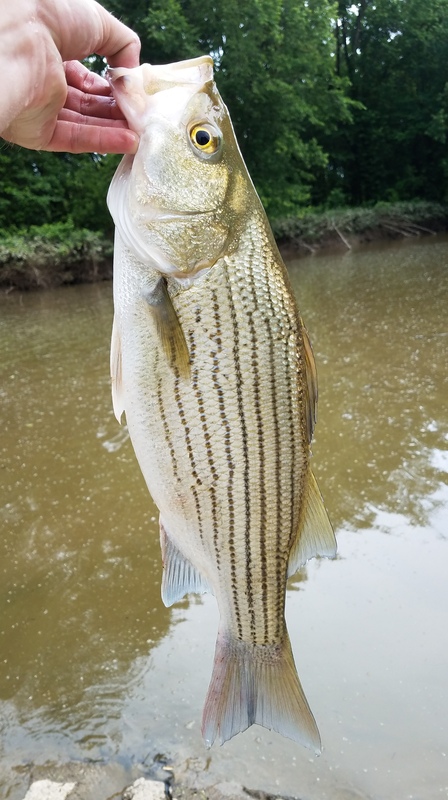 It has been too windy to take the kayak out, so I have been focusing on improving my bank fishing. 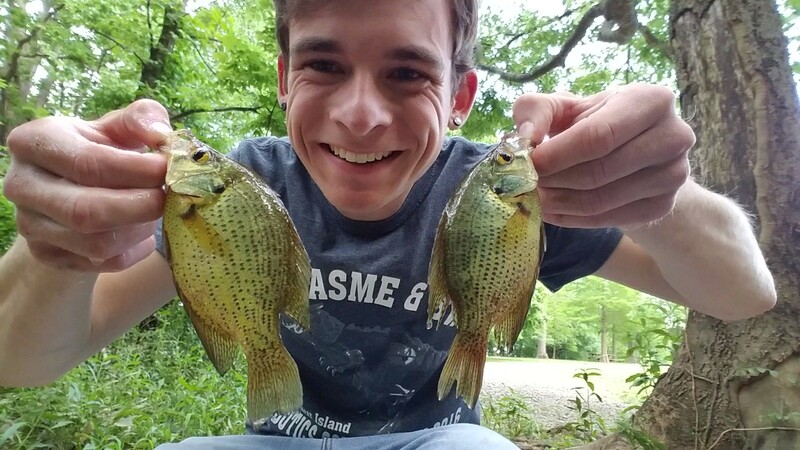 This property has numerous lakes that all offer different conditions to fish, I’ve started catching crappie and largemouth from the bank with great consistency. 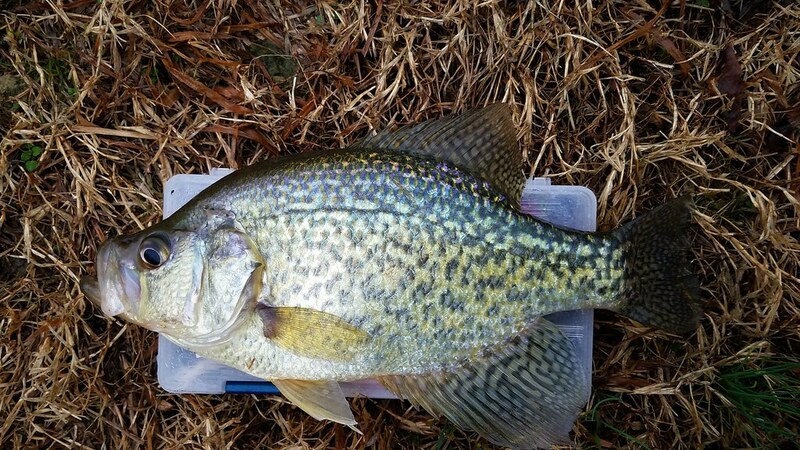 The crappie are still a little deeper, but are still with in the far reach of casting distance. 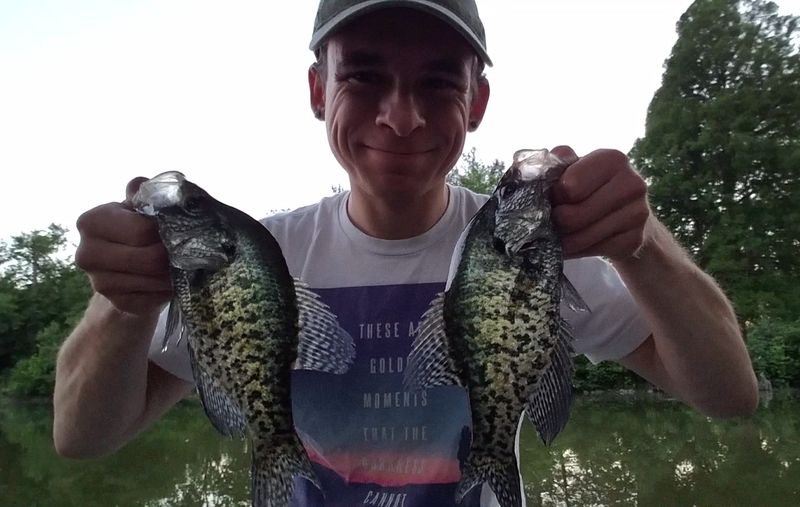 I’ve discovered Bobby Garland crappie soft plastics and I can honestly say I have been incredibly impressed. I’ve been close to limiting out on numerous occasions this season already. 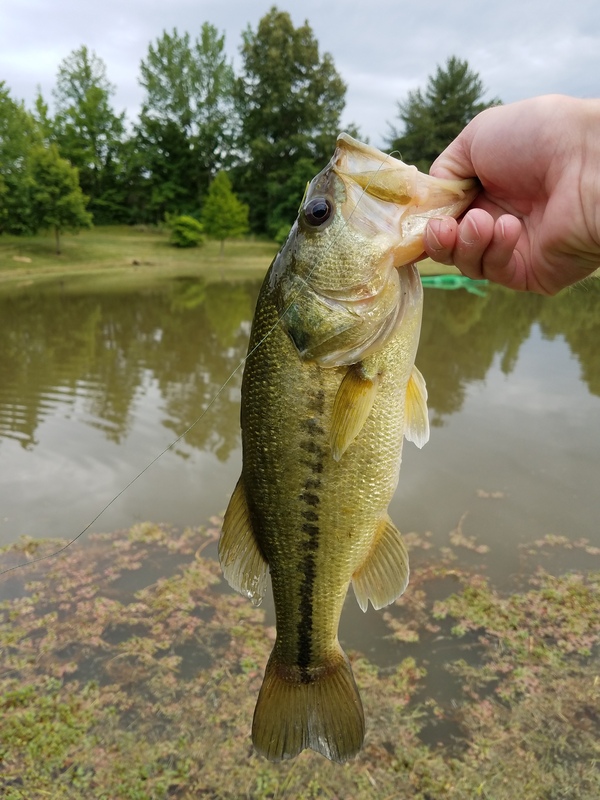 The rest of my time has been spent on bass fishing, jigs and worms have been the most effective method so far. 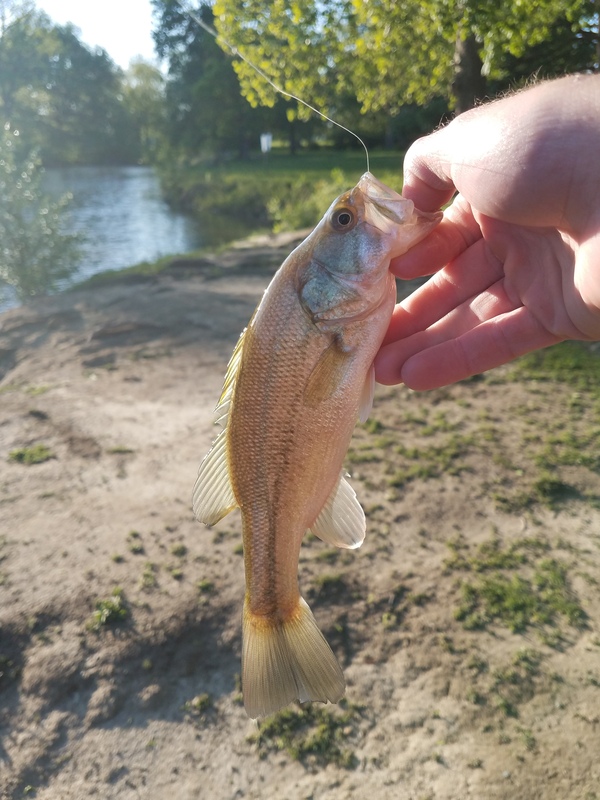 Another great lure I’ve discovered is the Walleye Angler Ring Worm made by Bass Pro in the Hot Orange/Chartreuse Belly color. 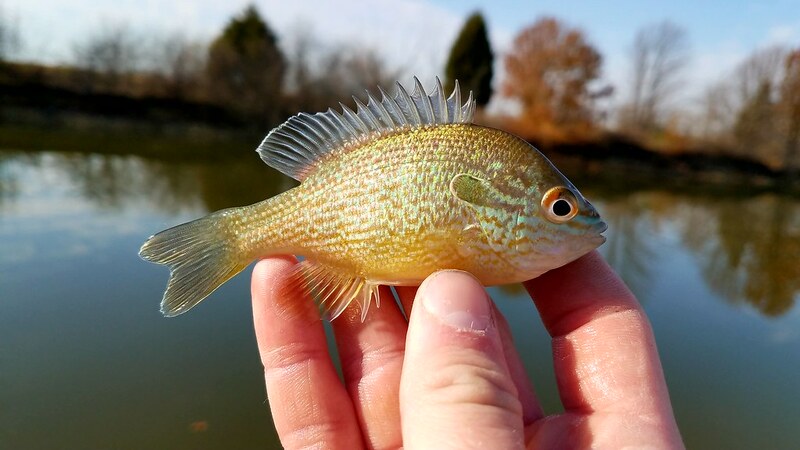 This has become my go to lure for muddy/stained water. 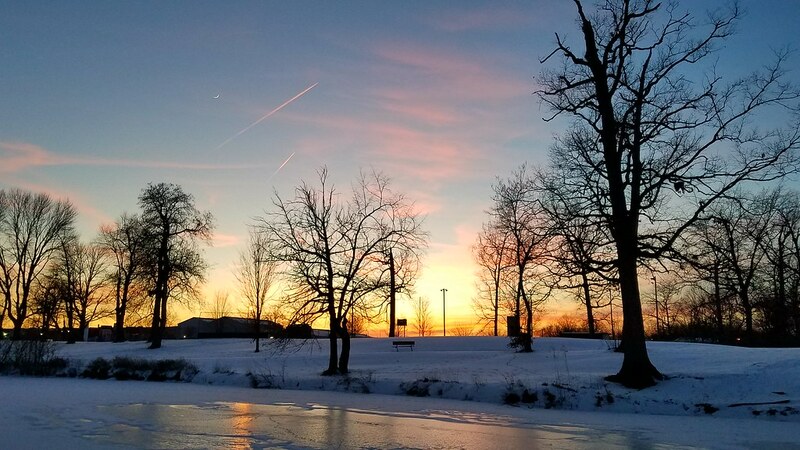 The year is winding to an end and the temperatures are ever slowly dropping. 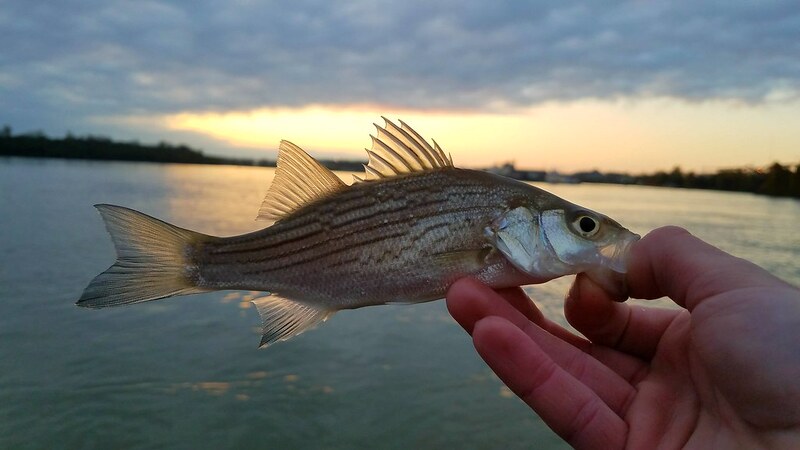 This is typically the time of year where my fishing companions stop going out with me and my fishing adventures tend to get shorter and shorter. 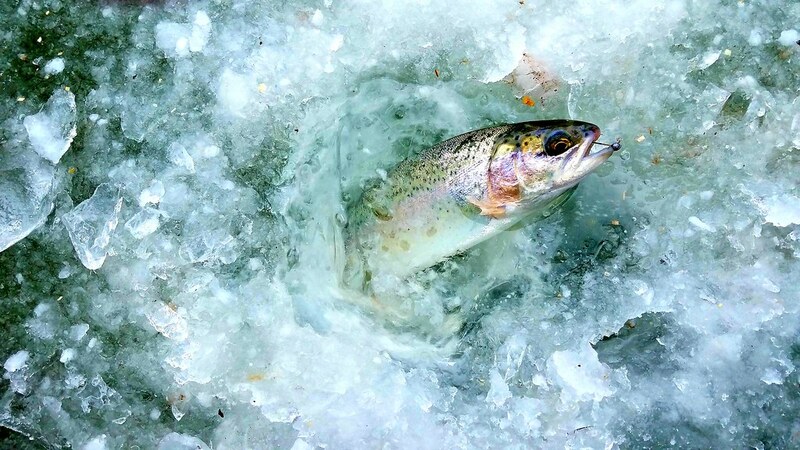 Luckily the weather hasn’t really dipped under freezing yet, keeping the fish very active and easy to catch. 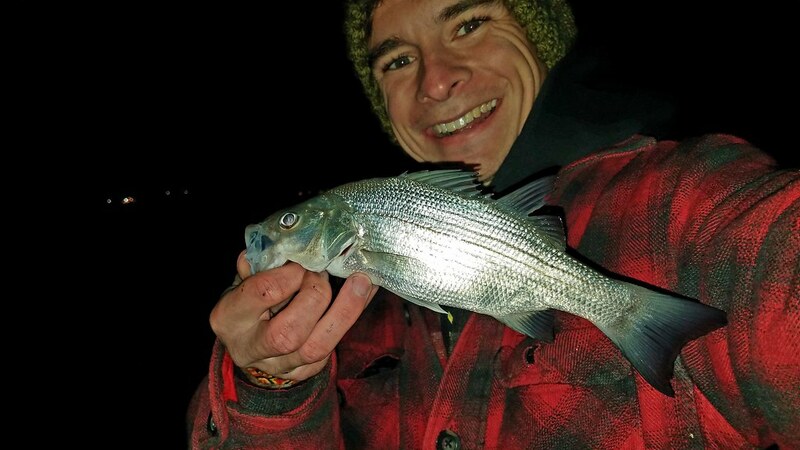 With half an hour to spare, I set out on my last fishing trip of the year, the temperature was sitting right at 40 degrees and wind was only blowing at 2 MPH making conditions fairly enjoyable. 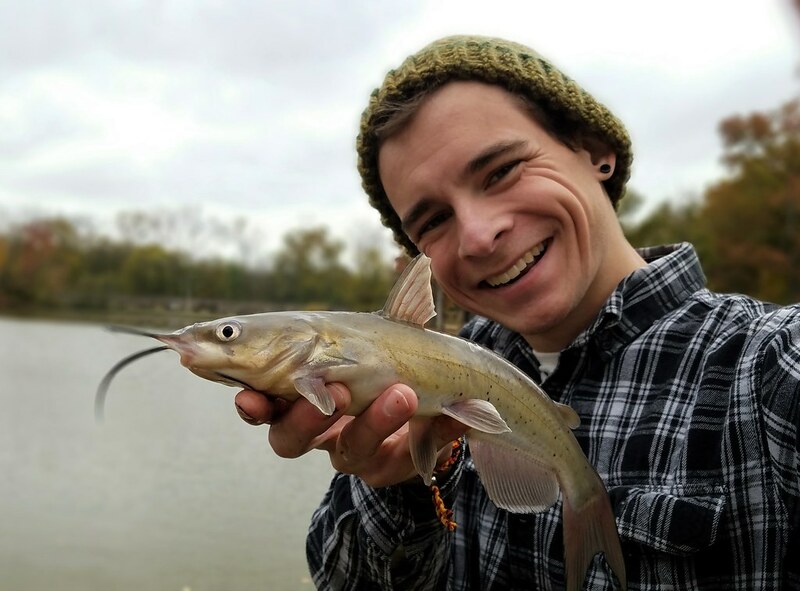 I set out to fish Evansville State Hospital Park to fish my favorite holes in hopes of catching as many species as I could. I only had a half hour to spend, so I focused on the spots that have historically been the most productive for me: the drainage ditch pipe between the two lakes and the rocks around the edge of the dock. 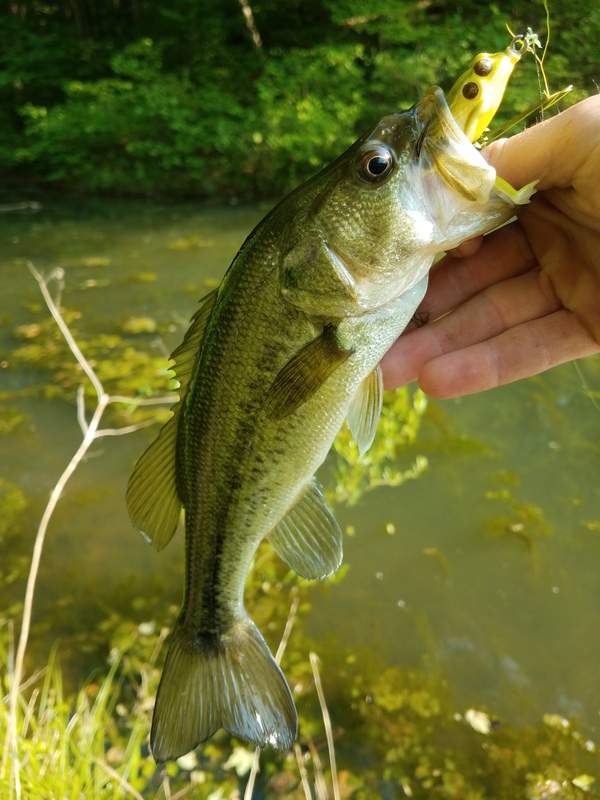 I started out at the drainage ditch, and as expected, there was a nice bass sitting in it. 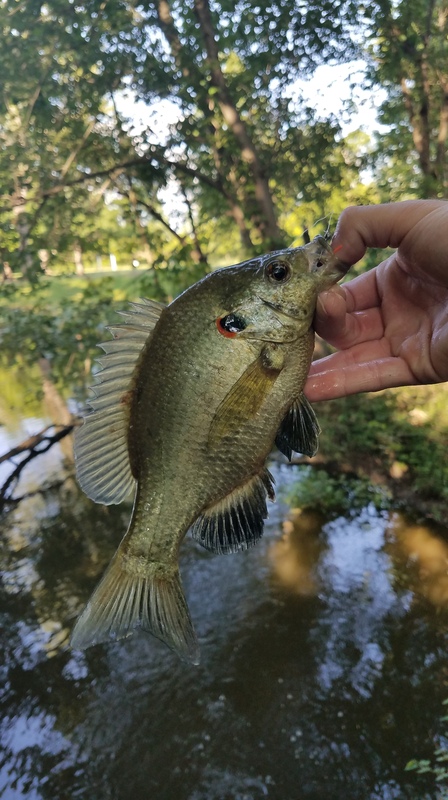 These bass see a good amount of pressure so I stuck with a natural bluegill pattern and since the drainage ditch is so shallow I fished a squarebill crankbait. 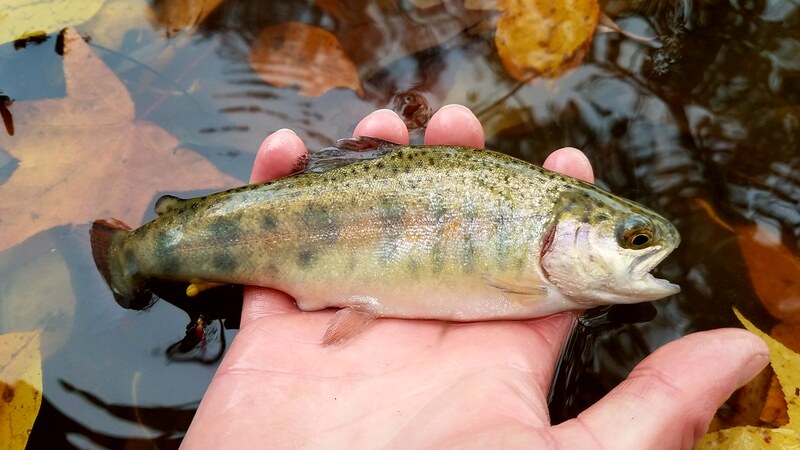 On the first cast, this beauty engulfed the lure. Sadly, this appeared to be the only fish sitting in the pipe so I moved over to the dock. 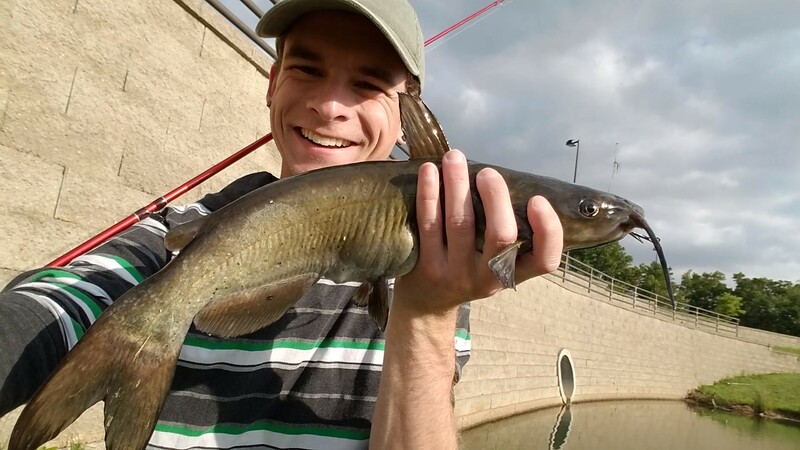 The water isn’t too deep and there are a large amount of rocks surrounding the dock so I kept fishing the squarebill. 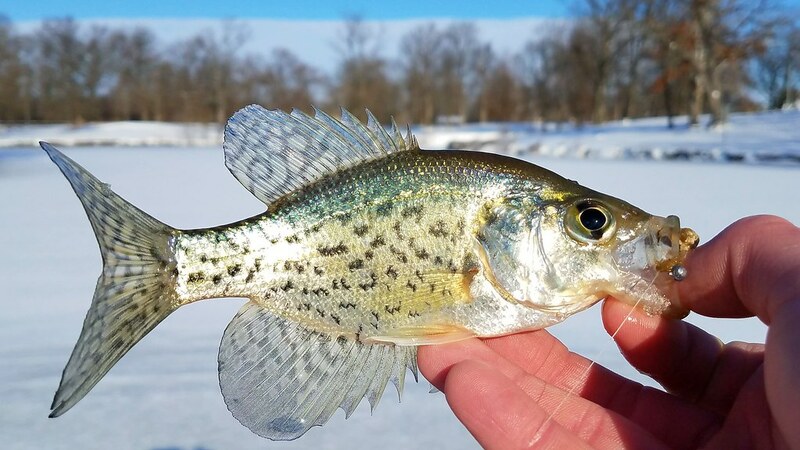 With the temperatures being higher than usual I expected the crappie to be suspended in the water column still. 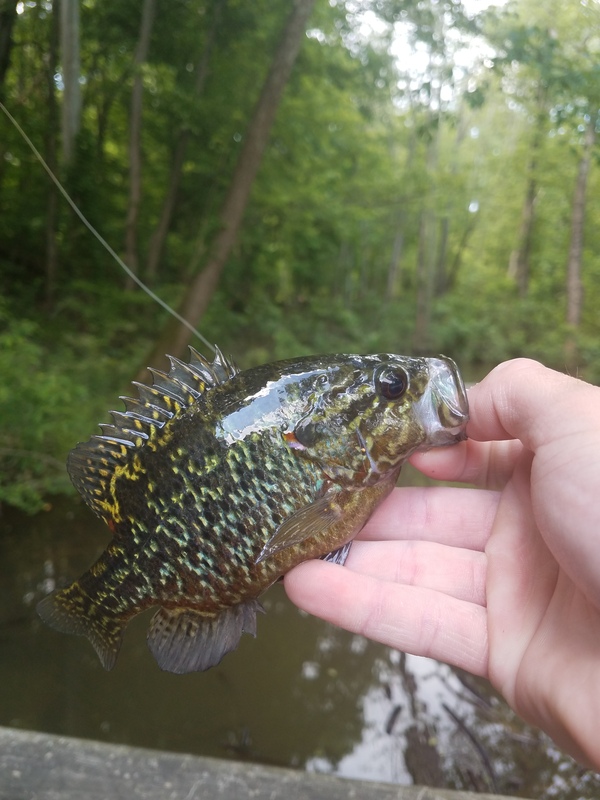 This lake has a notoriously small crappie population, so anytime I catch one it is a special day. 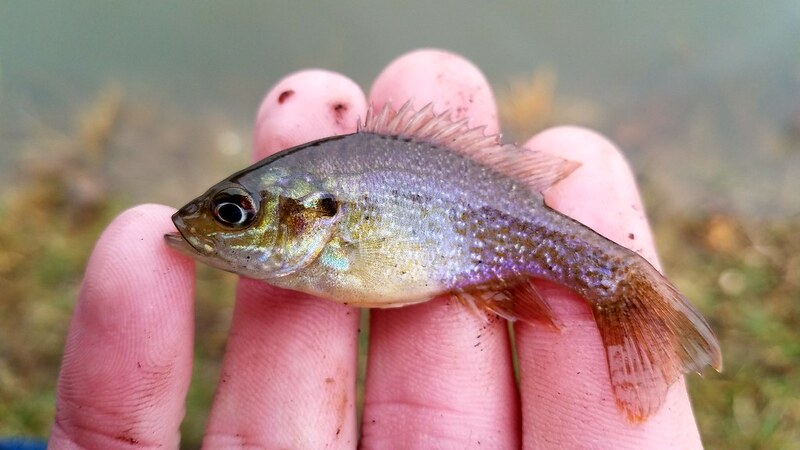 But this was one of those special days where the crappie were biting, landing me this little guy on a squarebill. 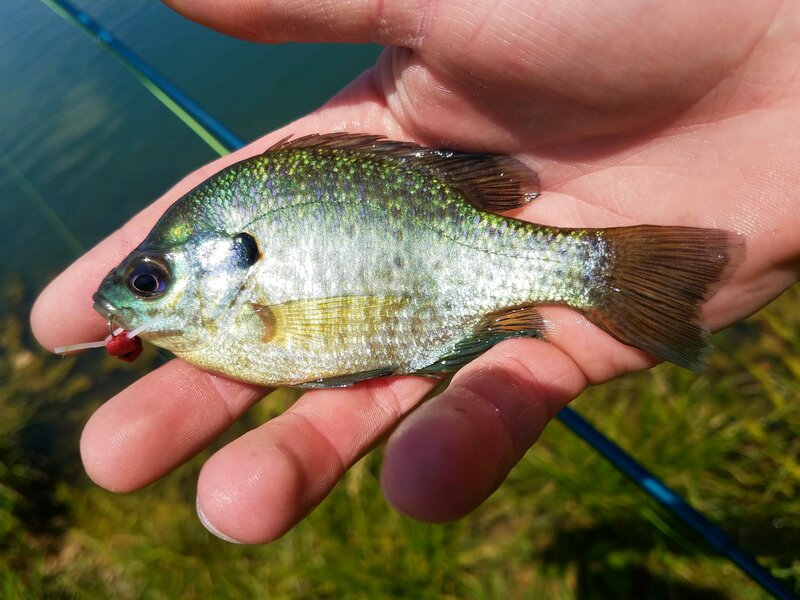 Nothing compared to the size crappie you would expect to find in most places, but a welcome sight to see any day. 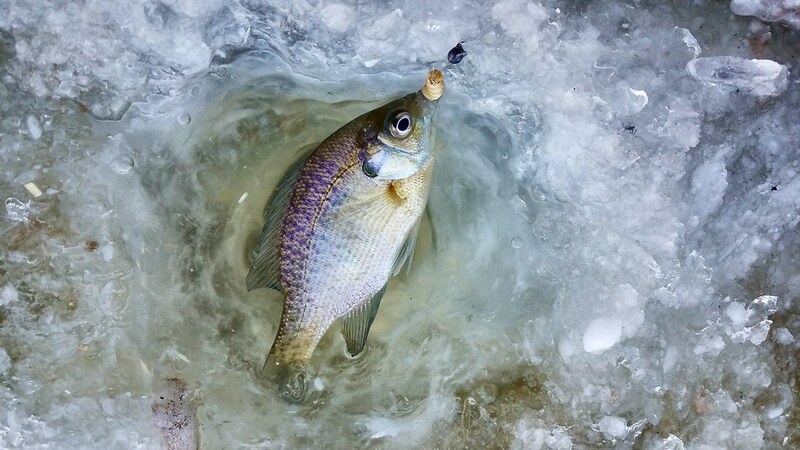 With time running short, I still wanted to try out the ice fishing rod I was given for Christmas so I moved to the end of the dock hoping for a bluegill. I tied on one of my Lazy Man Woolly Bugger Jigs and started jigging away! 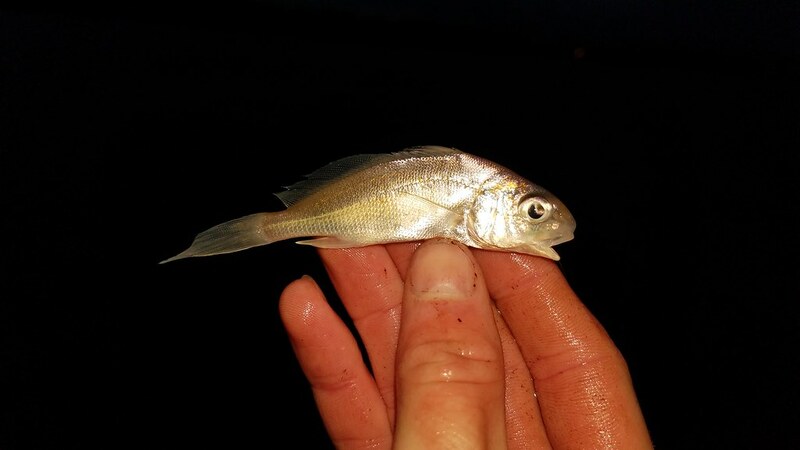 Luckily it didn’t take long for a hungry fish to grab hold of it. 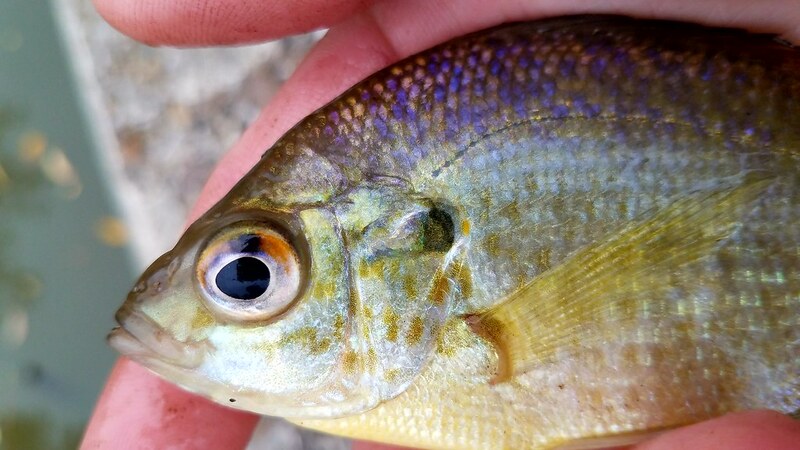 I was rewarded with a little bluegill, and with that fish I called it a day. 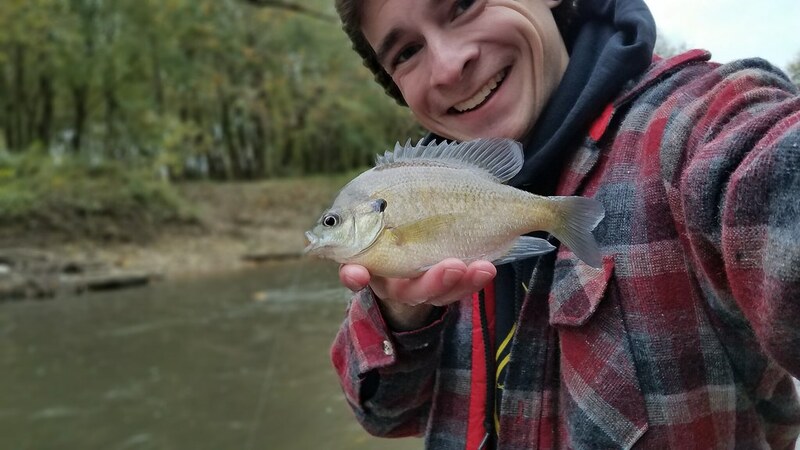 I was happy to say the last trip of the year was a success and for only having a half hour I was happy to have caught 3 species of fish. 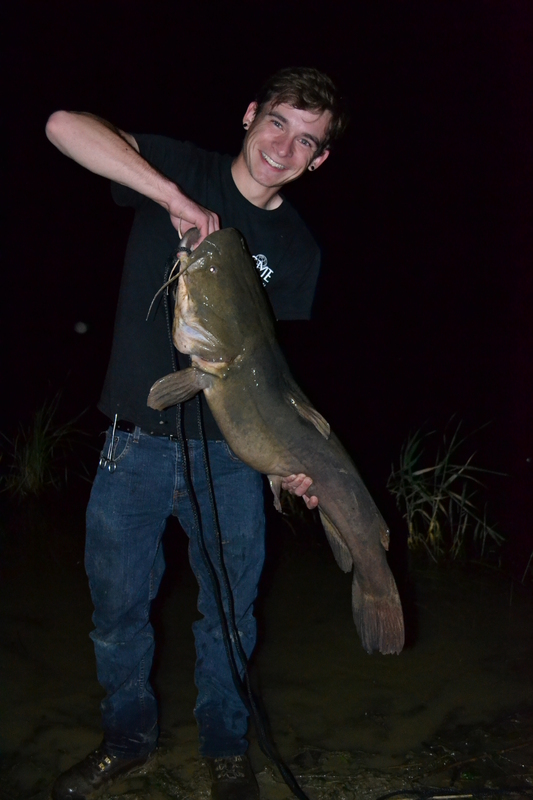 2015 had some amazing fishing adventures and I can’t wait to see where 2016 brings. 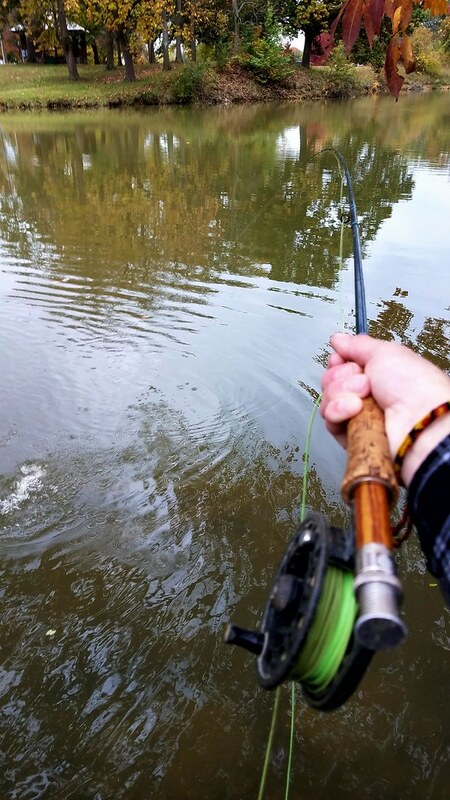 Tight lines and a happy New Year!